New Price! Well maintained home in the ever popular Crosswoods community. This townhome features 3 bedroom, 2.5 bath, approx. 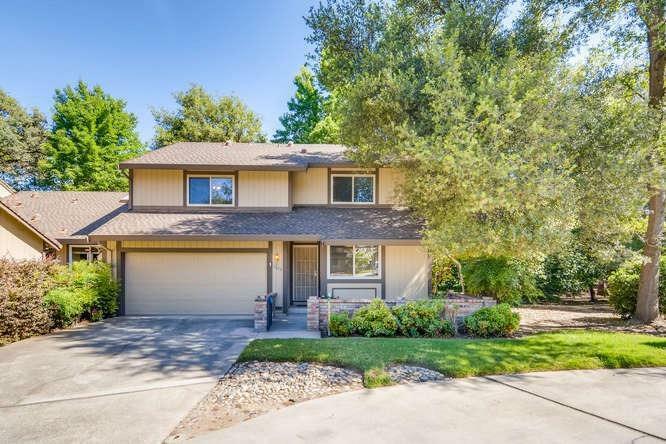 1848sqft with a 2-car garage, nestled in quiet and beautiful Crosswoods! Enjoy a spacious living room with a wood-burning fireplace, dual pane windows, inside laundry, and laminate, tile and carpeted floors. A secluded and private deck backs up to beautiful, established trees and shrubs, creating your own retreat to relax or entertain. This highly desired community offers lighted walking paths, a canopy of beautiful trees, open spaces, wildlife, 3 pools and more. It is near a library, schools, parks, shopping and easy access to freeway!